Local authorities have a duty to provide, adequately resource and jointly commission impartial and free information, advice and support for disabled children, young people and their parents, and to children and young people with SEN and their parents. This support must cover education, health and social care. 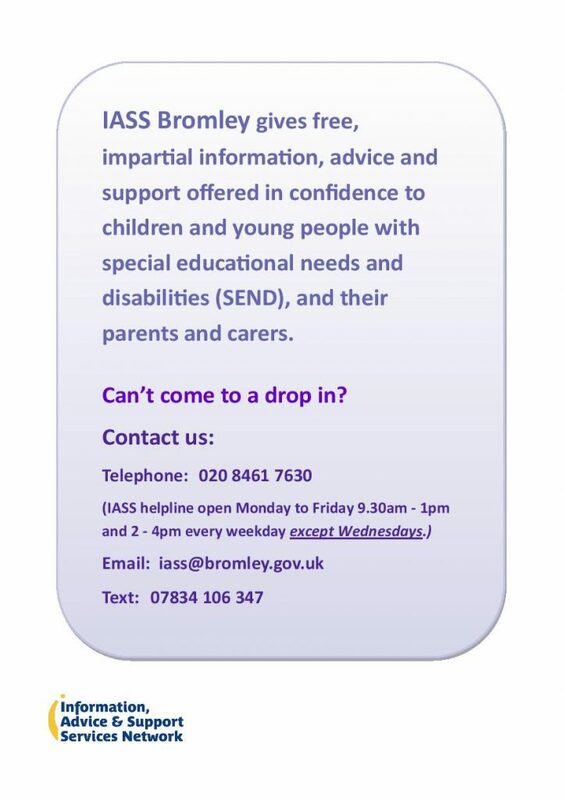 Free and impartial information, advice and support is available from IASS, Bromley who provide support on a wide range of SEND issues, including the statutory assessment process and annual review, to children, young people and parents. Independent Support was a time limited programme providing additional support for young people and parents while statements were transferred to Education Health and Care Plans (EHCPs). Independent Support finished on 31st July 2018. 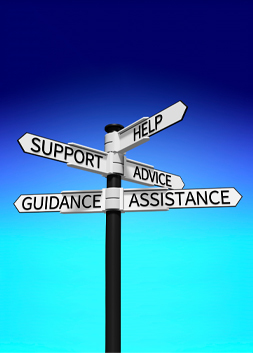 Bromley Parent Voice was a member of a consortium delivering Independent Support in Bromley. As part of this work a number of useful resources were developed. IASS: Free, impartial information, advice and support offered in confidence to children and young people with Special Educational Needs and Disabilities (SEND) and their parents or carers. Choice Service: Free advice for all parents and carers with the moves from pre-school to primary school and on to secondary school. If you have concerns about your child or young person’s special educational needs we can provide free, impartial information, advice and support in confidence. If you are a young person with concerns around SEND, we can also offer you this service. An Independent Volunteer Supporter (IVS) is a volunteer who has completed training provided by the Information Advice and Support Service (IASS). An IVS can accompany you to meetings with professionals e.g. school meetings or meetings with the Local Authority. An IVS can also meet with you at our office or any of the six children and family centres across the Borough to talk through any difficulties. NB: IVS support is subject to volunteer availability at the time of the request. Children & young people (CYP) can meet with us, too. We have a designated CYP Support Worker who can meet with children and young people and talk to them in private if wanted. Your local information, advice and support service (IASS) for children and young people with SEND (and their parents and carers) are holding drop-in sessions at the Central Library on Thursday evenings 5 to 7pm. The drop-in time is aiming to improve their accessibility and hope it will be useful for those who would like to find out more about IASS, but prefer talking in person rather than via email or over the phone.